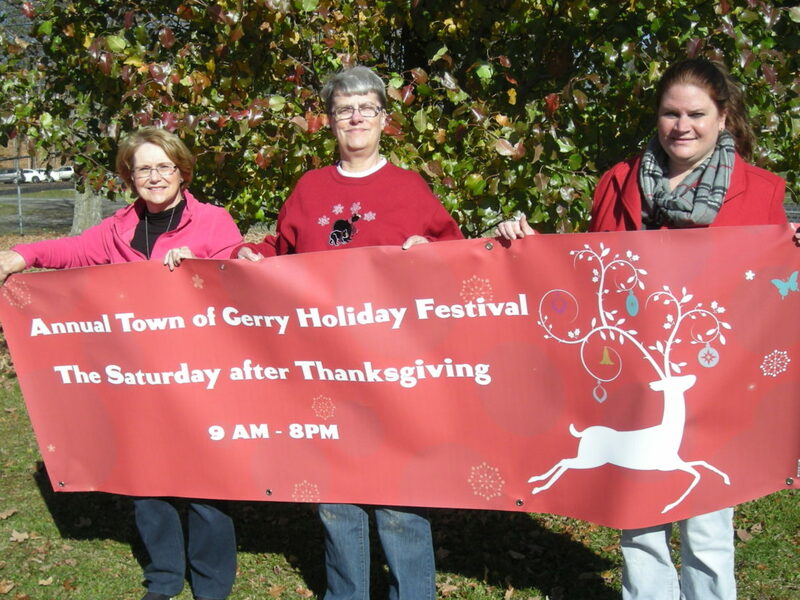 The second annual Gerry Holiday Festival is set for Saturday and will feature a full day of events in five different venues within the town. The traditional Santa’s Craft Bazaar, now in its 34th year, and sponsored by the Gerry Fire Department Auxiliary, will kick off the day’s activities, with 25 vendors offering their homemade craft items beginning at 9 a.m. in the Rodeo Conference Center. This event will also feature a Chinese auction, homemade food items, as well as the arrival of Santa and Mrs. Claus at 11:30 and music by the Cassadaga Valley High School Minstrels at 1:30. A special added feature at the rodeo grounds this year is horse-drawn sleigh or wagon rides at the rodeo grounds from 3:30-5:30 p.m. by McKinney Stables and made possible by a grant from the Chautauqua Region Community Foundation. From 1-5 p.m. a number of activities will take place at the Town Park on Route 60, including games, free coffee and hot chocolate, a child safety seat check at the Chautauqua County Sheriff’s Department at 1:30 p.m., followed by a demonstration by their K-9 unit at 3 p.m. In addition, other groups appearing include the Lake Effect Trailbreakers Snowmobile Club, Heritage Ministries, Fowler’s Taffy as well as caroling by the Valley Minstrels. Free cookies will be featured at the Town Hall from 2-5 p.m. as attendees are asked to bring a plate of their homemade cookies along with the recipe by 1:45 to share and be judged with prizes being awarded. Coffee and hot chocolate will be provided. There will be a reading of holiday classics at 2:30 by members of the Sinclairville Free Library. The Gerry Free Methodist Church is also getting in on the day’s events as they will be hosting a free holiday movie, games, and refreshments in their fellowship hall with doors opening at 1 p.m. The Cassadaga Valley High School Jazz Ensemble will be in concert at the church at 3:30. At 5 p.m., the “Light the Town” event occurs as two large evergreen trees have been donated by Scott’s Farms and placed at the Town Park and will be lighted at that time along with all the lights on the Heritage Village campus. Town residents are encouraged to participate by lighting their own home decorations at that time. The day’s festivities will conclude with an Ugly Christmas Sweater Dance at the Gerry Fire Hall from 6-8 p.m. Music will be provided by DJ Phil Schrader, and prizes will be awarded for the two ugliest sweaters. Town clerk Recia Myers, Cherin Mehs, and Jean Myles, who together are coordinating the event, emphasize that parking and admission to all activities is free. 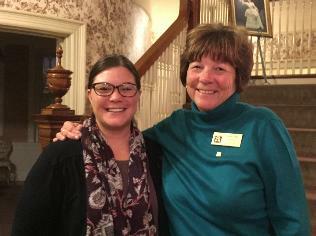 Myers invites any additional vendors who would like to participate at the Town Park to phone her. Additional information can be obtained by phone from Myers at 962-5916 or Mehs at 985-4257 or by email at townofgerryclerk@yahoo.com.